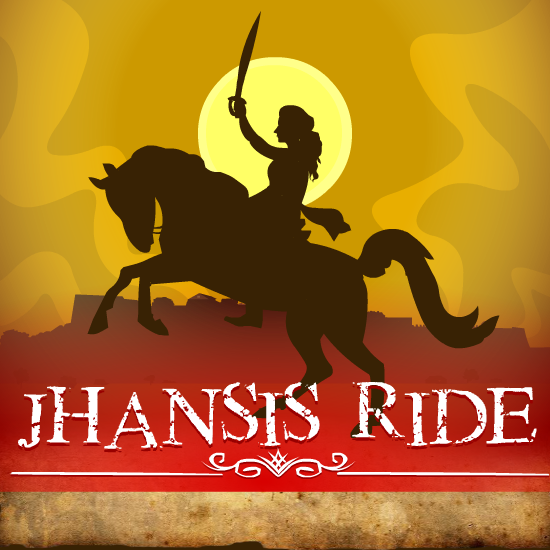 Jhansi ki Rani is on her horse ride session. You control the ride with the arrow keys. You should avoid incoming horse riders as well as the local people who are passing by and crossing the road. You can either avoid them by moving away or jumping over them. If you see some British officers walking by crash onto them and sent them flying. Use UP and DOWN arrow keys to move the horse and Left or Right keys to swing your sword when you have it. Hit Space key to jump. Avoid collision with these obstacles. Smash British army personal to gain points.Try to complete all the levels.